My Skin May Have A Glow??? This is a sponsored post. I was given L’Oreal Skin Care but the opinions are all mine. 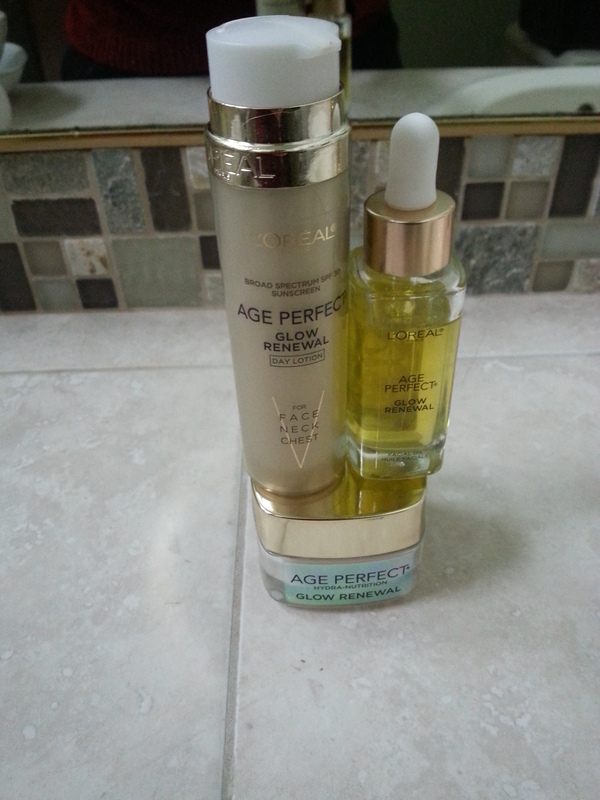 When I was contacted to try out L’Oreal Age Perfect, Glow Renewal skin products I was thrilled. Not only was I on the lookout for some new moisturizer, I was desperate to find something that would feel good and not aggravate my skin. Formulated for older skin is also a plus! They have a light smell. My husband’s eyes aren’t watering from the scent at night and it is not overpowering my fragrance during the day. The facial oil has an eye drop application. I love this application and wish more products used this method of distribution. You can easily regulate how much you need without waste or fuss. The Day lotion has a “broad spectrum SPF 30 sunscreen”. My dermatologist and my primary care physician have told me to use a sunscreen everyday. This day lotion makes it easy to fulfill this need without depending on my makeup containing sunscreen. The Hydra-nutrition cream makes my skin feel good. The cream is not heavy but not too light. It goes on easily. Together with the oil it makes my skin feel very soft. Am I glowing? 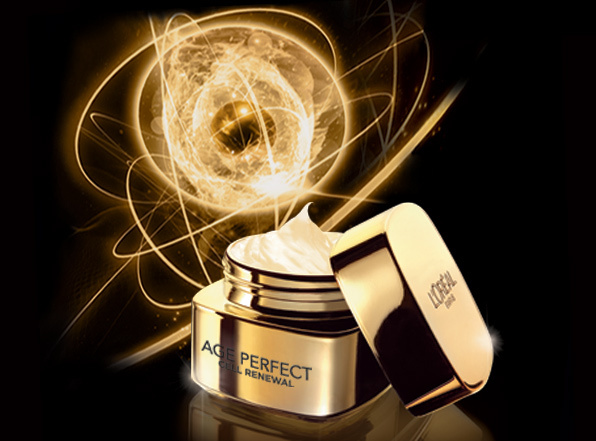 The products are called “Age Perfect Glow Renewal”. I might be. I have dull skin, and I may have noticed a hint of a glow. I do know the products have not aggravated my skin at all. That has happened with other products. I actually got headaches from a moisturizer but certainly not with this L’Oreal trio. In another month I will write a 6-week evaluation and hope then I can confirm a glow! Based on my use I would recommend these products to anyone looking for a new skin care moisturizing line. 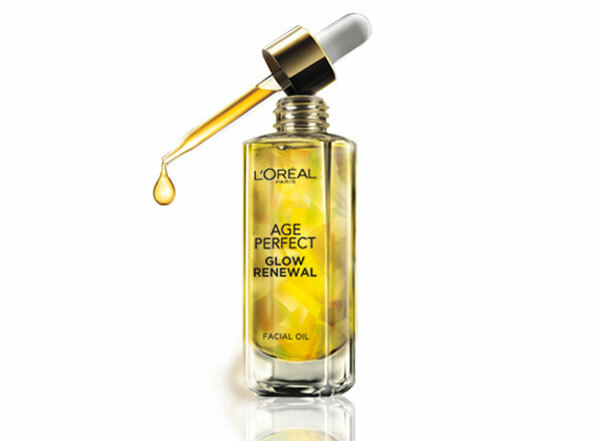 Have you tried L’Oreal Age Perfect Glow Renewal?